Scanmatic AS deliver robust system solutions in instrumentation, data collection and remote monitoring and control applications. It is a multidisciplinary engineering company with wide-ranging expertise and a broad variety of services. A typical Scanmatic delivery is a robust industrial system designed for high-reliability and a long service life in challenging environments. Its applications are based on open standard and often consist of a combination of its own products and software, as well as traditional hardware and software. Scanmatic offers service and maintenance contracts with guaranteed response times and its team is dedicated to regularly performing service and periodic maintenance for its customers. 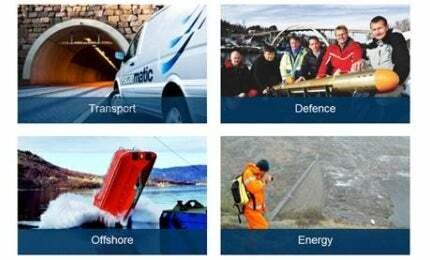 Scanmatic benefits from its expertise in sensor technology and computing applications, in addition to specialized instrumentation and communications solutions for the marine and offshore industry. The company’s applications focus on instrumentation and sensor technology. It has supplied a wide range of solutions and services in SCADA systems, product development, system integration, control systems, data communications and data acquisition. Scanmatic has extensive experience in project management and implementation, and through established practices and its quality system, it undertakes projects in a safe and secure manner. The company complies with current industry standards and regulations according to project completion, supply and commissioning. The Scanmatic Group consists of four companies; Scanmatic AS (parent company) and the subsidiaries Scanmatic Elektro AS, Scanmatic Environmental Technology AB and Scanmatic Instrument Technology AS. The company group has 120 employees and a turnover of more than NKr600m in 2016. Since its establishment in 1971, Scanmatic AS has focused on the development and supply of quality products and systems within industrial instrumentation, monitoring and control systems for customers in the communications, defence, offshore and renewable energy sectors. The company is based in Arendal on the southern coast of Norway. Scanmatic Elektro AS provides technical infrastructure construction and installation, electrical, fiber and contracting services. This company is located in the same building as Scanmatic AS. Scanmatic Environmental Technology AB was established in 2013 and is located in Stockholm. Scanmatic Instrument Technology AS became a part of the Scanmatic group in 2016 and is located on campus at the University of Life Sciences in Ås, which is a 30 minute drive south of Oslo. It is an extremely accurate GPS based system developed for Nato FORACS for verification and calibration of the navigation systems and target acquisition systems for Navy vessels, submarines and helicopters.